A stocky young man with glasses, wearing a baseball cap, leather jacket and track pants, Adam is not the typical Moroccan you see walking around the medina. He talks with an American twang. 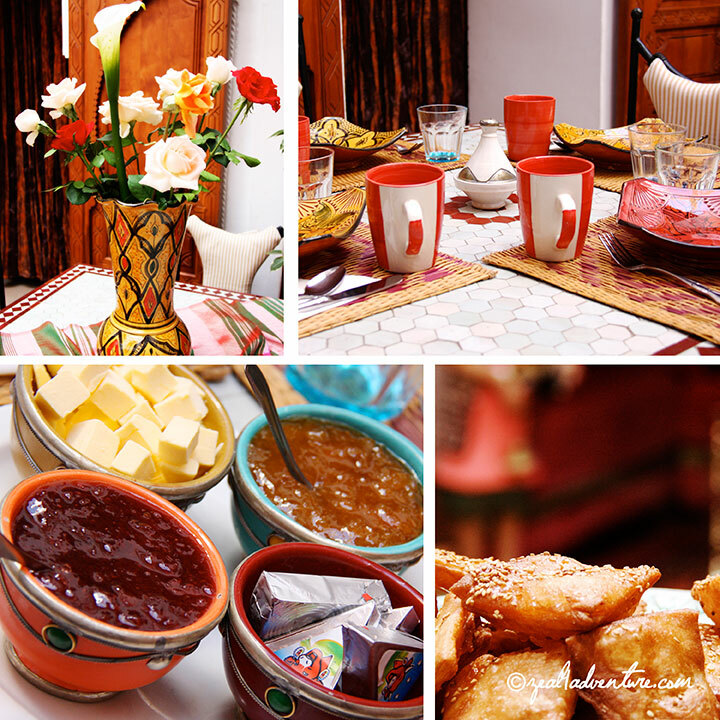 It is because although born in Morocco, he and his siblings grew up in Canada, Adam explains as he leads us to a beautiful riad he calls home. 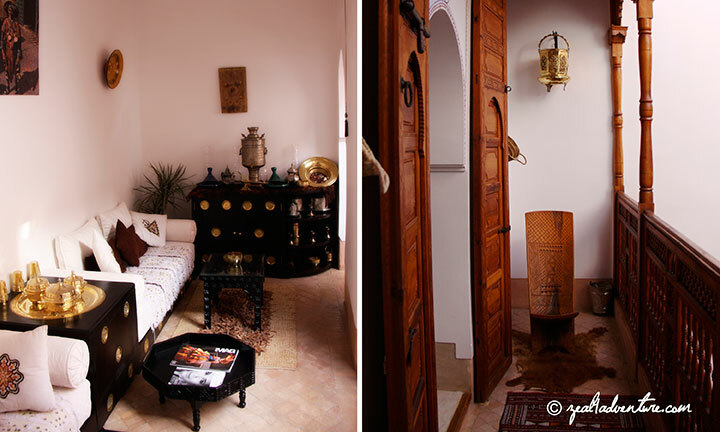 He runs the riad that he renovated with his parents when they decided to go back home to Morocco. 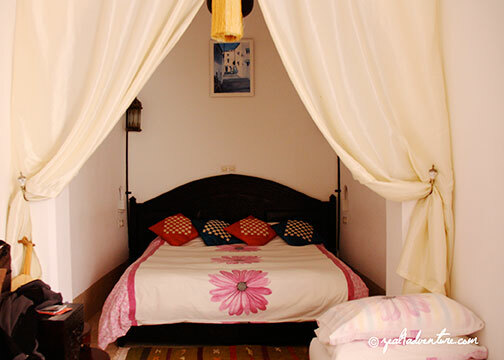 Riad Slawi is cozy with 4 rooms (5 actually if you count Adam’s room on the ground floor) tastefully designed in classic Moroccan fashion. 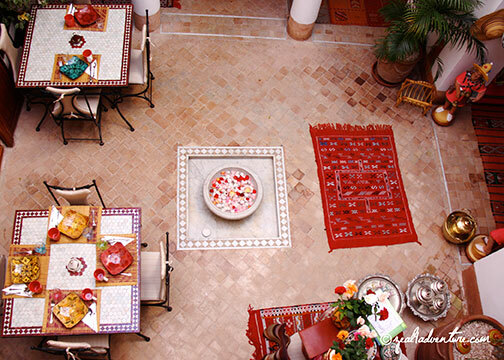 Typical of riads, it has a (well-lit) courtyard where we were served traditional, homemade breakfasts. But what I love best about the house is this stylish yet cozy sitting lounge where I would read and write in my journal on down time. Hands down my favorite home in Morocco. Famished from travelling all day, we asked Adam where we could get some local street food. He walked us back to the entrance of the medina and brought us to a hole in a wall where we had some awesome kebab. Surrounded by local folks, we sat on stools vacated by a group of teens and heartily ate the grilled beef, lamb and chicken Adam ordered for us. This is what I call an awesome welcome to Marrakech. The guidebooks and people we meet along the way were not remiss in cautioning us of touts, hustlers, scammers, etc. Adam, however, more than cleared its reputation. 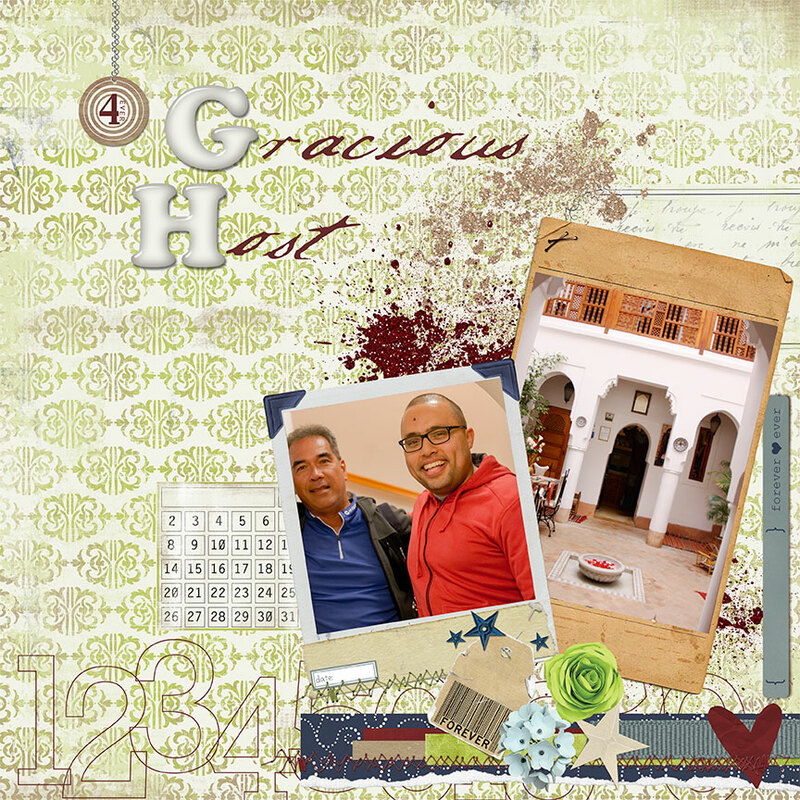 He graciously offered to buy train tickets to Tangiers for us, even booked us a hotel near the train station, He allowed us to leave our bags with him while we spent 2 days in Essaouira, and arranged to have us picked up at the bus station when we returned. His kind certainly makes up for all the Saids of Morocco. Such a gracious host and a real darling, I must say. 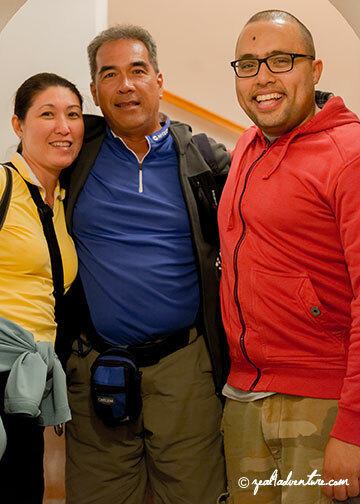 it’s a blessing to find good people when we travel. although in my travels i have found that generally the people i meet are good, there’s very few that stand out.